If you have a summer wedding planned, congratulations! There’s so much to do and think about when planning your wedding, and your day is almost here. Naturally, you want to look your best on your special day, and a fabulous hairstyle is a must. Summer heat and humidity can be a challenge, especially when it comes to your hair, so choose a style that keeps your unruly locks under control. For long hair, braids are a great option. Try one long, lose braid flowing down the back or along the side, or wind a thick braid up and surround it with knots for a sophisticated look. Or, try tying a top braid in a “crown” as the rest of your hair flows down – accessorize with flowers. Another option is adding layers of small braids for a “goddess” look. If you like a good “updo” but don’t want the harsh, pulled-back look, leave some front strands and bangs loose to frame your face. For a soft, romantic look, loosen strands all the way around. Curls are romantic, so if you have natural waves, incorporate them into your wedding style. Flowing, natural-looking waves create a soft, dreamy look. Accessorizing is especially fun for bridal hairstyles. Whether you have long hair or short, use pins, florals, tiaras, scrunchies, ribbons, and jewels to accentuate your style. To tie things together, use some of the same accessories in your bridal bouquet, or even as decorative details in your reception hall. 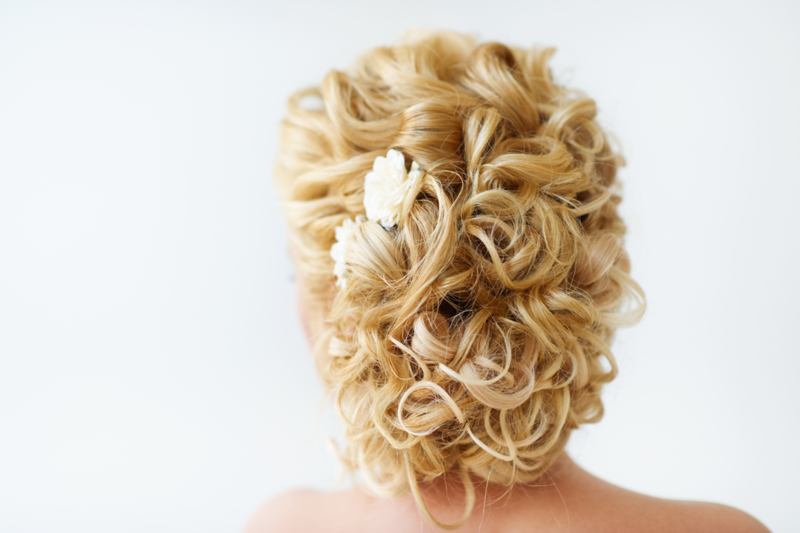 For a fabulous summer wedding hairstyle, make an appointment today at Untangled Salon. Our team of professional, highly-trained stylists will create the perfect bridal style for you. You can find us at 19924 Jetton Road, Suite 105 in Cornelius. To schedule an appointment, just give us a call at 704-895-9300 or send us an email at info@hairuntangled.com. Prefer to schedule an appointment yourself? Use our free mobile app. You can download it for free at the AppStore, on Google Play, or Amazon.